The EF2400iS has that little extra grunt, but still as quiet as ever. 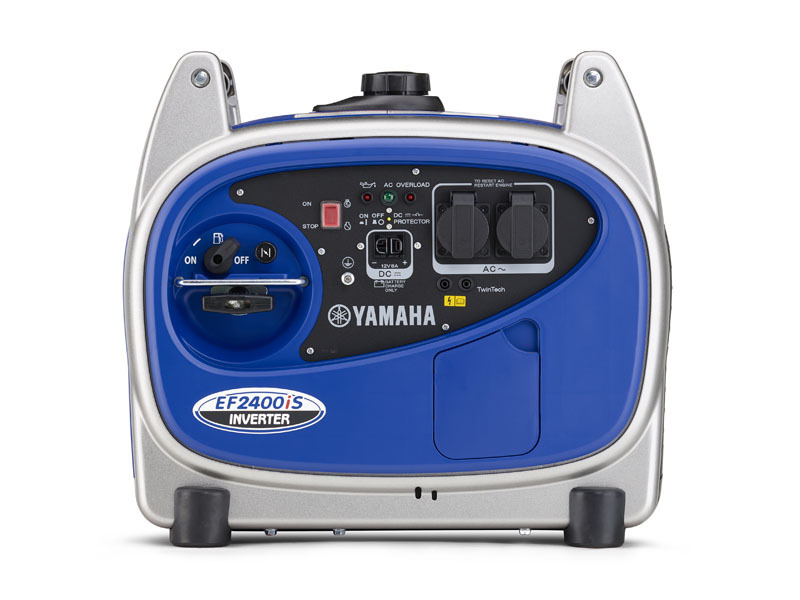 Using Inverter technology, the EF2400iS is our best seller for caravans, RVs and motor homes. Light and super quiet, it produces a massive 2400 watts of maximum power so you can run anything from an air conditioner, refrigerator, kettle, toaster or small heater - not to forget your sensitive electronic equipment such as phones, laptops and computers. A dust cover and transportation kit is also available as optional extras, as well as TwinTech Parallel Use function - for almost double the power when connecting two EF2400iS together!